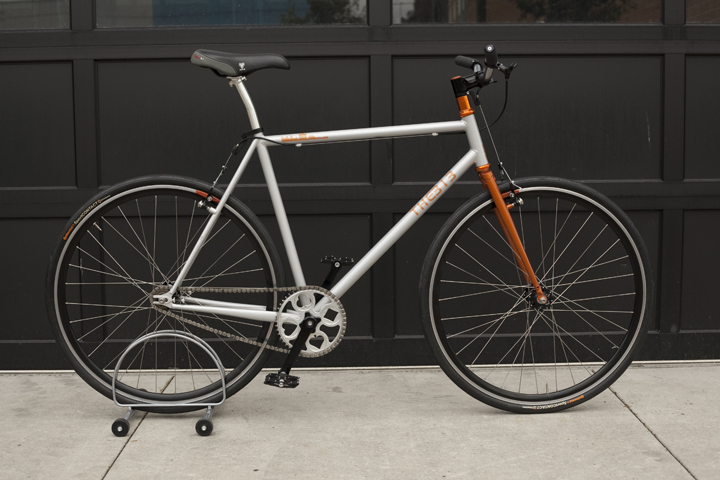 The 313 is a steel, single speed city bike. It's beauty through simplicity. After that, this bike can be anything you want or need it to be. Need tire clearance? Want rack mounts and fenders? A single speed around-towner? A fixed gear messenger-style bike? Brakes? No brakes? Freestyle? Originally designed with relaxed geometry for comfort, this bike can be modified for how fast or slow you want to go. The ideal rider is anyone who wants a simple, all-around-city bike, custom designed and handmade in Detroit.